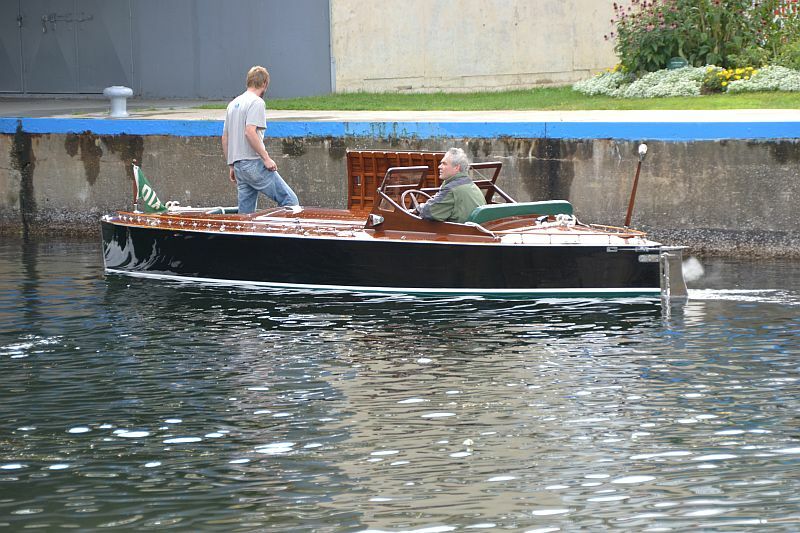 You are browsing the archive for antique raceboats. 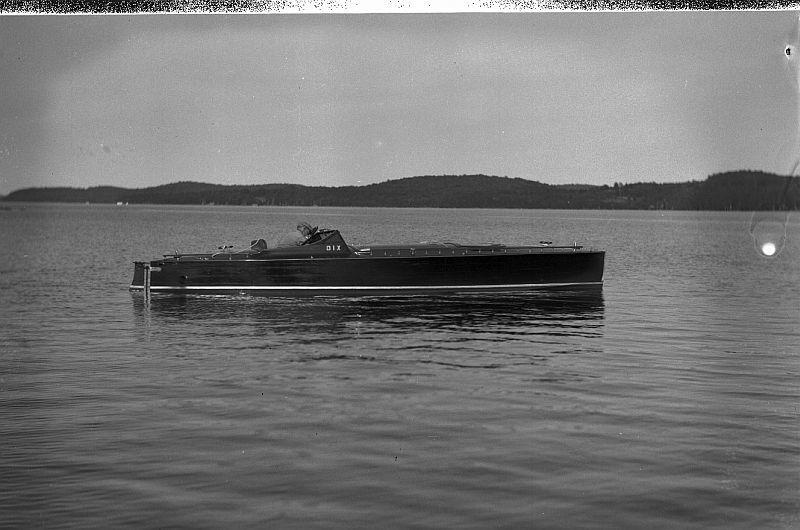 In 1927 Bert Hawker designed the twenty-one foot, torpedo-shaped hull that still defines the standard by which other boats are judged. 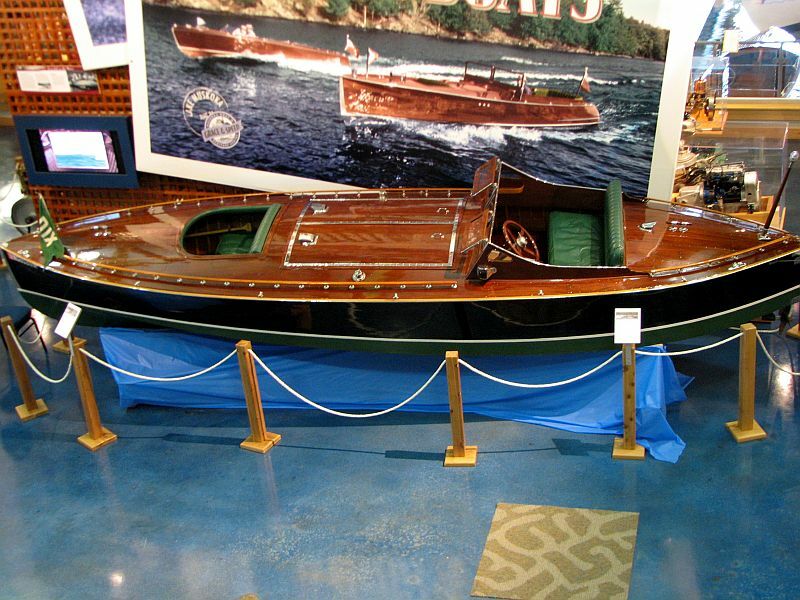 There is something inherently perfect with the Dix’s lines; from her nearly straight side planks to the gentle camber of her deck, which uses both light coloured spruce and dark mahogany to highlight her distinctive design. 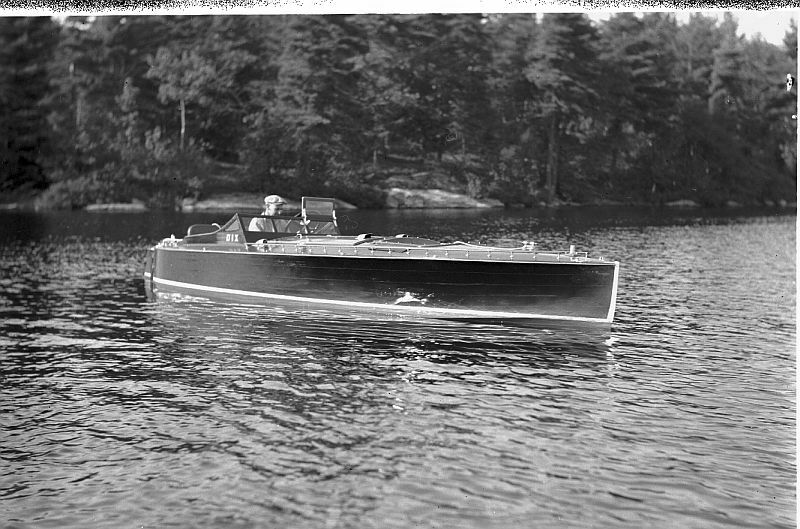 “Dix” was a huge leap forward in boat design in 1927. Even today very few builders will attempt such a project, because of the difficulty in executing both the design and the construction. The Ditchburn brothers, Dix’s builders, were second to none in either design or execution. 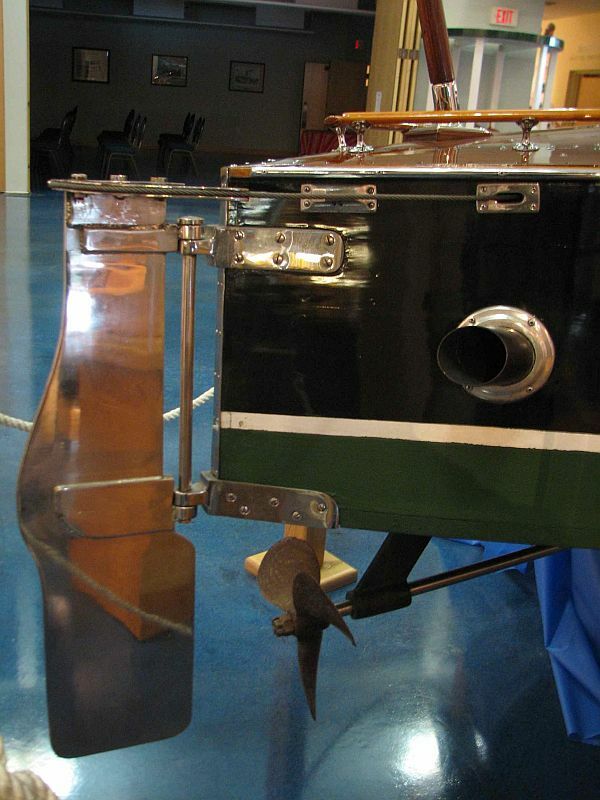 One of the most interesting features of “Dix” is her external, “dagger-board-like” rudder which extends from the pointed stern and is moved through a wire cable mounted in a circular, grooved mechanism. The high gloss metallic finish of the rudder acts as a mirror to almost reflect the beauty of this boat. Having an F-6 Scripps engine roar from its side mounted exhaust ports is a race-boat symphony. 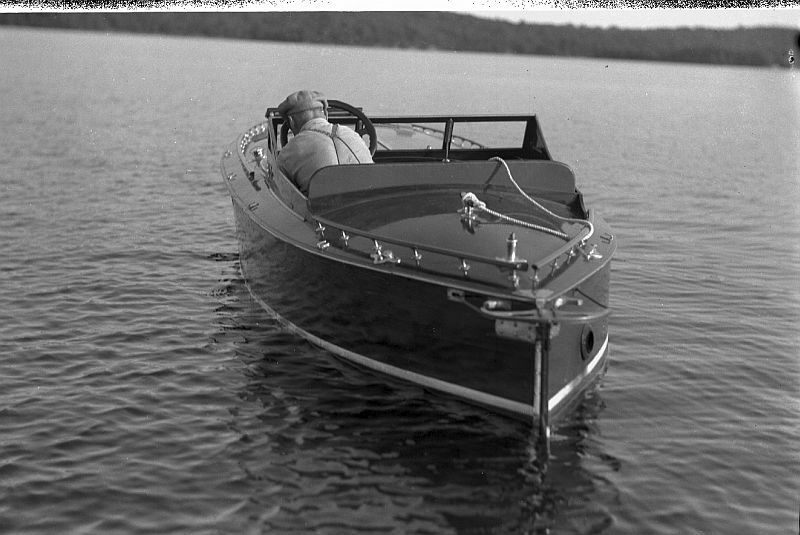 Owning that boat and engine in 1927 would be akin to owning a Bugatti Veyron today. It is very gratifying to know that Dix has returned to Muskoka. 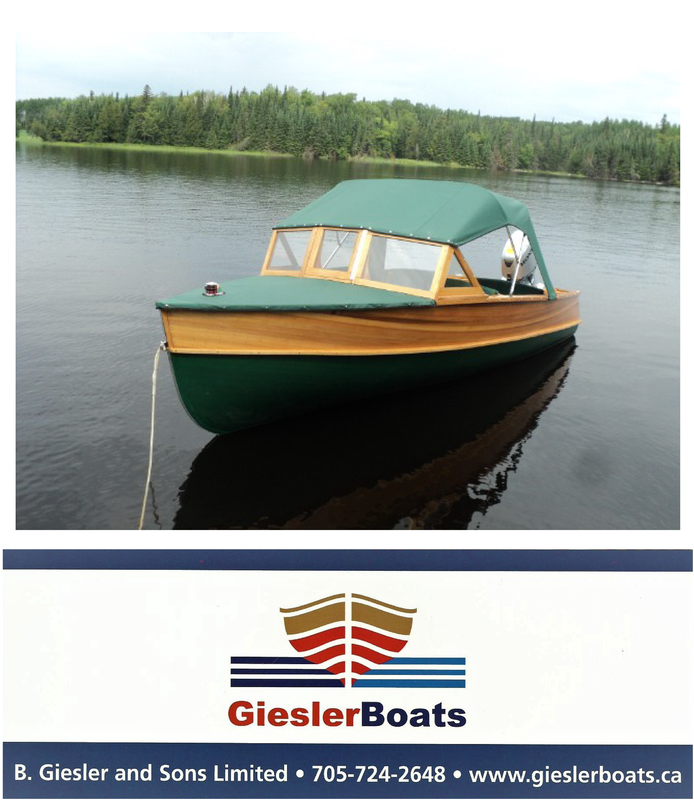 We hope that she will be seen again this summer on the waters of Lake Muskoka.